The celebration known as Easter is defined in The Encyclopedia Britannica as ”the annual festival observed throughout Christendom in commemoration of the resurrection of Jesus Christ.” It is a time of rejoicing, victory, and joy as the resurrection of Christ is celebrated, knowing that because he lives, we can live also—forever! But for others, Easter is looked on with suspicion. They do not believe it is a Christian celebration, that it should be totally rejected, that it is PAGAN! 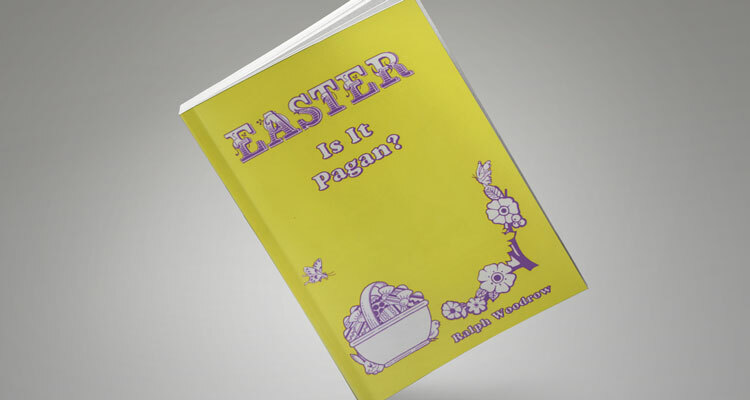 They labor to show that “Easter” was the name of a pagan goddess. But, in fact, evidence for this long-held idea is very weak. Regardless, Christians who gather to celebrate the resurrection of Christ—whether they call it Easter or some other name—are not worshipping a goddess. Even with the emphasis that some Roman Catholics place on Mary, none observe Easter as Mary’s day! Some claim that Constantine started the celebration of Easter at the Nicene Council. Not true. Others echo the idea that 40 days of Lent started in Babylon. Not true. Some who hold an anti-Easter position even go so far as to say that people who attend an Easter sunrise service are worshipping the sun-god Baal! Some criticize Easter eggs as though people use them as objects of worship. The truth is, people who color and hide Easter eggs with their children never use them as objects of worship. Things like this are only seasonal decorations.